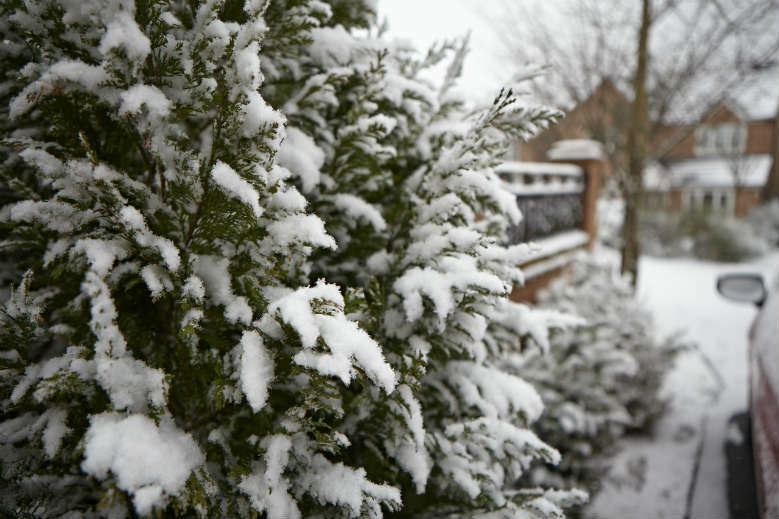 January is often the coldest month of the year and it’s important to carry on protecting your garden from frosts, winds, heavy rain and possible snow. Although there doesn’t seem to be much happening in the garden at this time of year, the need for food will often drive birds and other wildlife into the garden. Birds will really appreciate any food and water that you put out for them. Fat balls are particularly good energy providers for them during the winter months. It’s also important to make sure that bird baths are kept clean and that the water isn’t frozen over. January might seem particularly early to start growing potatoes but it’s not too early to start growing potatoes in pots under cover – just protect them with some garden fleece on particularly cold nights if you don’t have a heated greenhouse. Growing veg in pots and planters also means you can more effectively control your soil content – great in areas where you have soil that’s naturally hard to grow in like clay or sandy soil. Charlottes in particular are well suited to growing early in pots but give other early varieties a go too. If January still feels too early to plant out potatoes, you can at the very least get them going by chitting early in a frost-free, sunny spot – a bright windowsill is perfect. They say that gardeners are true optimists because they’re always planning ahead and this is especially true at this time of year. From the comfort and warmth of your armchair, January is the perfect time to start planning by ordering seeds and bulbs in preparation for the coming year’s vegetable plot. Take a look at our Grow Your Own Veg and Herb Calendar to help you decide when to plant out your crops. If you grow a lot of veg in one area in your garden, remember to stick to a basic crop rotation to get the most out of your soil and avoid unnecessary pests and diseases. The basic rule of thumb is to group your veg into categories of brassicas (cabbage, cauliflower, kale), legumes (peas, broad beans), onions (onions, garlic, shallots), potato family (potatoes, tomatoes, peppers) and roots (carrot, beetroot, parsley) – keep these separate from each and rotate every year. January is a great time to start sowing onions, broad beans, peas, leeks, carrots and spinach under cover. You can also grow salad leaves and herbs indoors. If you have a greenhouse, sow tomatoes now for an early crop. Tomatoes are jam-packed with antioxidants and are rich in Vitamins A and C and lycopene, perfect for helping your body’s immune system. Growing this tasty crop at home is easy and way more delicious than buying them from the shops. You can also start to plant fruit trees and bushes if it isn’t too cold. Winter can be a stressful time for house plants, so give them the care they need for best results. Check them regularly to see if they need watering and keep an eye out for any pest problems. Make sure you don’t over-water plants – this is one of the most common reasons for house plants failing. Only feed house plants that are in flower, using a high potash liquid feed. Choose an all-purpose plant feed or one suitable for indoor plants to give them a boost when they need it. Continue to plant hardy trees, shrubs, climbers, roses and hedges on fine days, as long as the soil isn’t frozen solid or waterlogged. At this time of year you may be able to get your hands on bare-root plants. These are cheaper than containerised plants, so a better bet when you have a lot of planting to do – such as a new rose bed or hedge.